Self-mailer, jumbo postcard or window envelope direct mail package? How do you pick one? What package should you use to generate leads or sell your product? Assuming you have determined your offer and selected your mailing lists, then you must choose your direct mail format. Do not pick your format based on cost alone. The proper format will pay for itself and improve profitability. The trick is to make your decision based on what works most of the time. Do not try to reinvent the wheel until you have tested your direct mail many times. 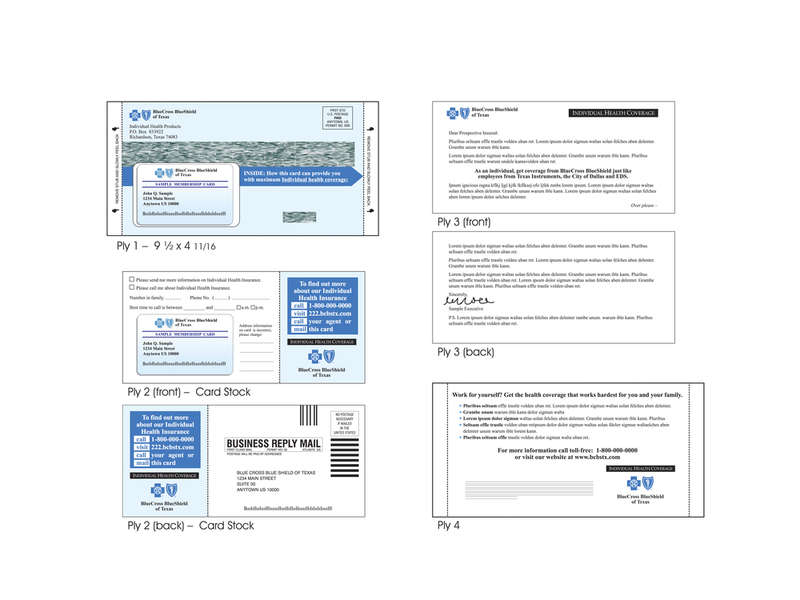 Your first direct mail tests should use the proven envelope direct mail format. It's used most often because it works. The package contains three elements inserted into an outer envelope. More often than not, added package elements will improve response rates. The most effective format of all time is the official looking Snap Pac. It contains the same elements as the Classic Package. It usually beats existing direct mail controls using the same content. This rarely happens based on format alone except for the Snap Pac. My favorite size is the 6 X 9 personalized Snap Pac containing a letter, the reply form, lift note and reply envelope. Some heavy mailers such as banks, insurance companies, and large associations use this format. Some companies use the Snap Pac as their super control. This means that they have been unable to beat it with repeated tests after many years. Only after you have tested one or both of the above should you go to my last format choice, the self-mailer. This mailer is self-contained using no outer envelope. It consists of a folded brochure with an included coupon or response piece. Postcards of all sizes fall into this category. Rarely containing letters, these formats work best with existing customers who know your product. Postcards do not create the emotional pull of the letter. Some self-mailers incorporate a personalized letter to create a hybrid package. Simple postcards work best for couponing and discount offers that need little copy support. There are other choices beyond these three formats that meet specific needs. For example, new perfume introductions may use scratch and sniff to use another sense. A manufacturer of a new flooring material may insert a product sample in a box to flooring retailers. The applications for 3-dimensional formats are endless. A hybrid Classic Package that contains a solid object the recipients feel through the envelope prompts them to open the package out of curiosity will increase response. The key point when selecting formats: your first choice is the Classic package first. If that doesn't work, then another less expensive format will not likely make your mailing successful. It's better to concentrate on your offer and list testing rather than cheapen the format. Posted on August 15, 2016 by Ted Grigg and filed under Direct Mail, Direct Marketing Strategy, Planning and tagged DirectMail DirectMailFormats.